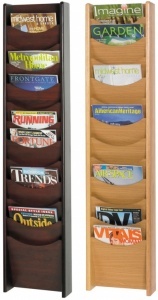 Elegant wall mounted literature display racks in a durable Oak or Mahogany wood finish. 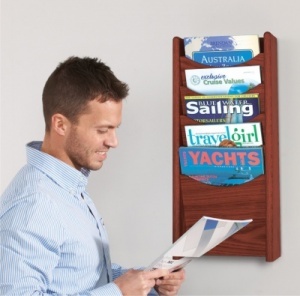 This traditional design allows the wall mounting of A4 literature in multiples of 5 or 12 separate compartments. 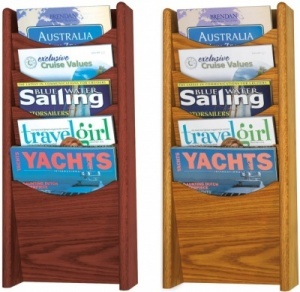 Mount either side by side for larger displays. 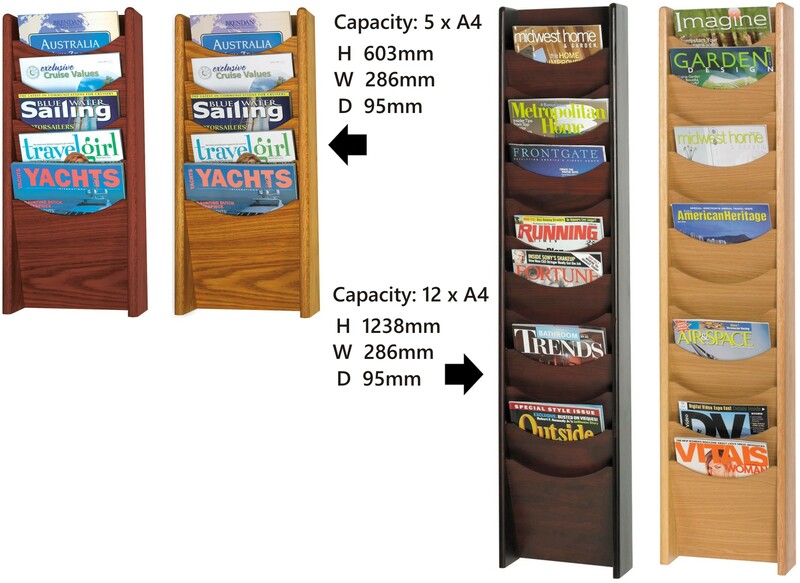 Each attractive scoop front compartment holds 20mm of literature.